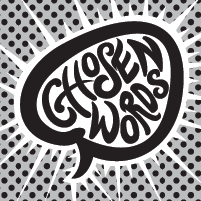 This weekend at Eastbrook Church, I continued our series,”Chosen Words,” by looking at Jesus’ teaching on the spiritual life through the metaphor of the vine and the branches from John 15:1-17. After exploring the idea of Jesus as the ‘true’ vine, I spent time outlining four aspects of the life of abiding in Jesus. You can view a video of the message and the accompanying outline below. You can listen to the message via our audio podcast here. You can join in with the “Chosen Words” devotional online. Connect with us further at Eastbrook Church on Vimeo, Facebook, Twitter and Instagram.